Turkish Coffee has a different preparation and service style than the other ones, and it requires care and skill as it is practical. Pour the water in the coffee pot by measuring with a coffee cup. It is important for the water to be of good quality and cold and it is advised to use copper coffee pot. Stir the coffee and sugar well at a low heat. Serve out the pouring scum to coffee cups after a while. Serve the coffee left in the coffee pot to the coffee cups after it comes to a boil once more. 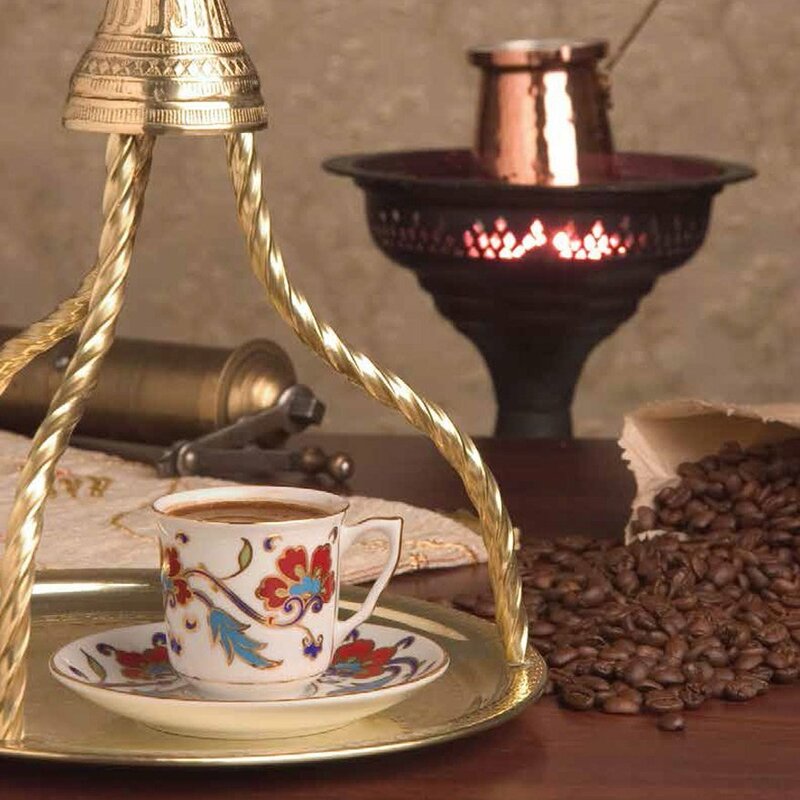 Without a doubt, the distinctive feature of Turkish Coffee among the others is its service style. Turkish Coffee is served with water, which is deemed to have the purpose of cleaning the interior of the mouth before drinking coffee, however it is also interpreted that during the Ottoman period such a service style was used to have a clue about whether the guest is hungry from his selection of either the water or coffee. Besides, Turkish delight and chocolate are also served together with coffee as an old custom.